Blizzard have revealed that this year’s Overwatch Summer Games will kick off this Thursday, August 9, and will run until August 30. The developer also showed off two new Legendary summer skins for Reinhardt and D.Va which will be available during the event. Reinhardt gets an excellent American football uniform skin nicknamed ‘Gridironhardt’, and pilot D.Va gets some jet ski wave running gear – along with a flowery blue Waveracer version of her mech. 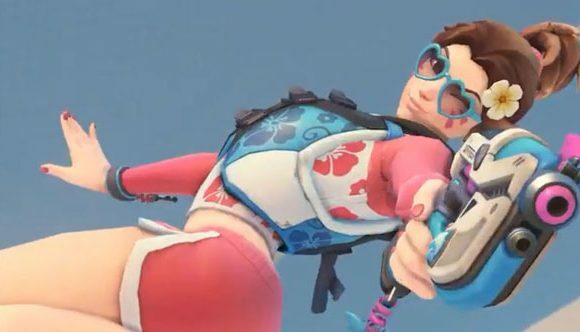 There’s no word yet on how much these new Legendary skins will cost, but those at 2017’s Summer Games cost 3000 Gold – which is the standard amount for new skins in Overwatch events, so expect it to be around the same price. It’s not yet known exactly what modes will feature in the Overwatch Summer Games 2018, but the teaser image that accompanies its announcement suggests that the Rocket League-esque 3-on-3 soccer game starring everyone’s favourite froggy support,will be back. I am of course talking about Lucioball, which will possibly return with some changes, if last year’s event is anything to go by.